The National Disability Insurance Scheme (NDIS) provides funding to people with a permanent and significant disability to access the supports and services needed to live and enjoy their life. 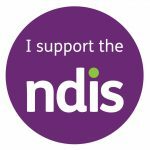 NDIS is Australia’s first national scheme for people with disability. It provides direct funding for individuals plus information and connections to services in their communities such as doctors, sporting clubs, support groups, libraries and schools. Everyone who is eligible for the NDIS has a plan that lists their goals and funding. Individuals use their funding to purchase supports and services that will help them achieve their goals. Everyone has different goals but they could include things like getting and keeping a job, making friends or participating in a local community activity. NDIS participants control the support they receive, when they receive it, and who provides it. Why choose Interact Australia for your NDIS individualised supports? Living with a disability and looking for individualised supports?